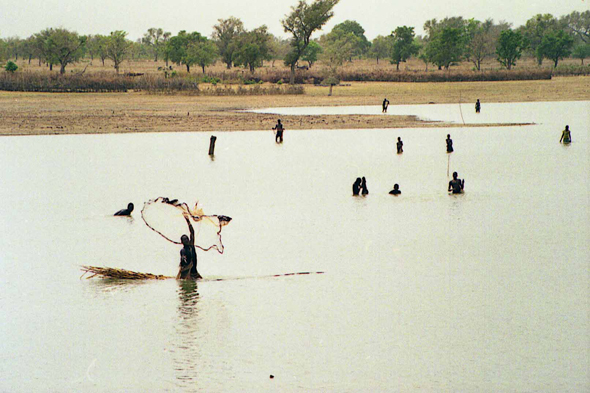 Fishermen in a water reserve near Pâ. The country counts two distinct seasons: the dry season, which last approximately 8 months, and the rain season, which lasts from June to October. The hottest months are March, April and May with more 40°C.